April was a great stated meeting starting with an open session to recognize our Masonic youth programs. Thanks to all who made this night a great success. I know they learned more about Masonry. It sure is good to know that Masonry has a part in building the character of both the young men and women in these programs. We are doing absolutely fantastic on our raffle fundraiser to support out four local charities and for a high school scholarship. Thanks to all who donated. Remember, even if you are not interested in the prize, all remaining donations will go completely to charity. The drawing for the prize will be at our May meeting. One of my goals for this year was to operate completely in the black. For the past few years our income has not covered our expenses. With only two months to go in this Masonic year, we are still ahead but we need one more fundraiser to ensure we finish ahead. (Dues are mostly complete and we still have two months of utility bills to cover.) So, our fundraiser to cover operating costs will be a community yard sale at the lodge on Saturday, May 16. We are now accepting donations of salable items and hope to have our entire parking lot full of tables and goods. Event organizer Dave McHam would also appreciate your help that Saturday. Please let him know if you can be there. This year has really gone by fast. 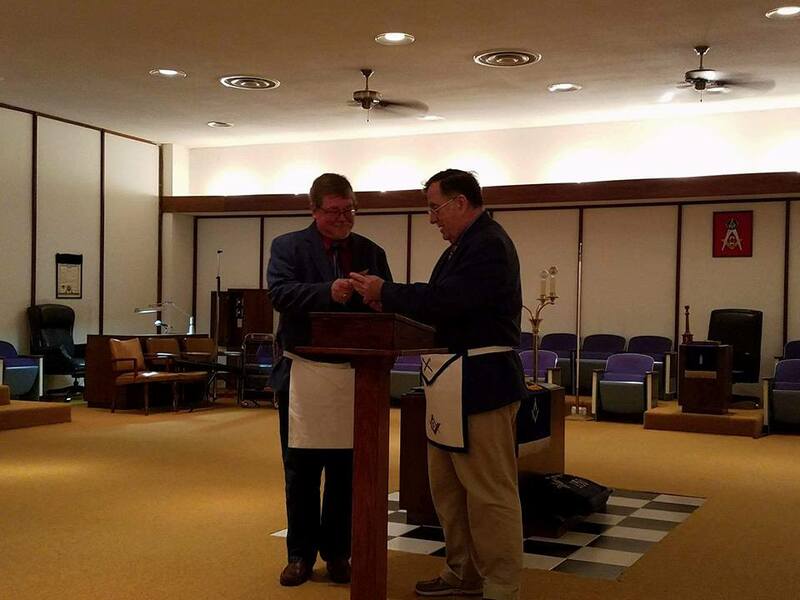 I would like to take this time and say thank you to our Worshipful Master, Brother Ed Brown, for leading our lodge during his year in the East. He has accomplished many of his goals for his year and still has a couple of months left before he vacates the East. Thank you Br. Brown for a great year of leadership. I also want to mention to those of you who have not been to lodge in quite some time that we miss you. Attendance at lodge the past few months has been sparse to say the least. For whatever reason that you have stopped coming to lodge, I would like to personally ask you to put those feelings or reasons aside and come support your lodge. 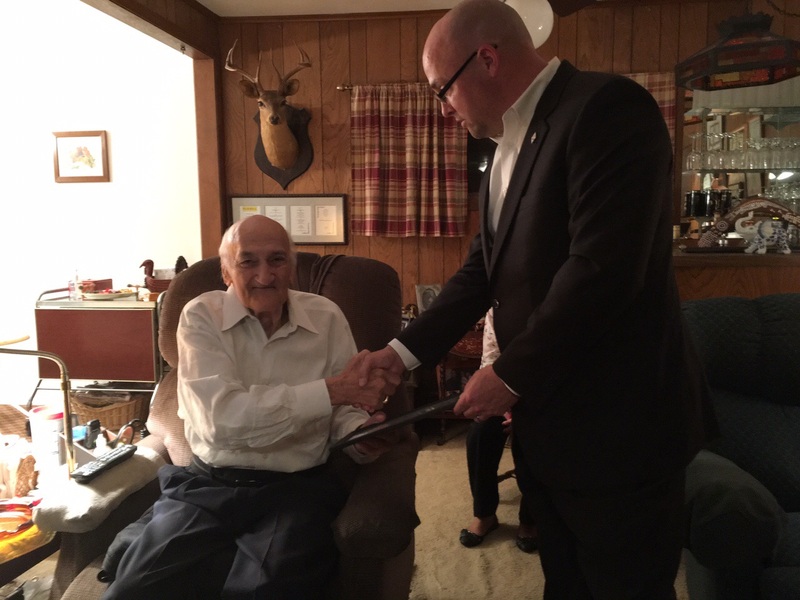 Several months ago we were honored to have Br. Sonny Juarez address the lodge on the meaning of our obligation. Brethren, if you would just sit back and think about that obligation that you took during the EA, Fellowcraft, and Master, I am sure that you will agree with me that we need you in lodge. Thanks to the Rainbow Girls and DeMolays that came to our lodge this past month. It is great to see our young women and men taking a part in laying the foundation for the leadership of our nation and our fraternity in general. If you have a young lady or man that would make a great member of those organizations, let us know and we will get you in touch with the right people. Second Notices have gone out to those of you that have not paid your 2015 dues. The deadline will be here before you know it. Please get your dues in so that we will not have to suspend you for non-payment of dues. The deadline is June 23, 2015. If you have not turned in your raffle ticket money, please do so. The raffle will be held on Thursday, May 14th. That just so happens to fall on our stated meeting night. Br. Dave McHam has told me that ticket sales have been going very well. All proceeds of the raffle will be going toward our charities that Br. Brown designated at the start of his year. Thanks go out to Br. Keith Sanders. 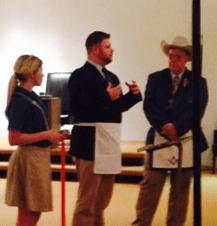 Brother Sanders is the newest Endowed Member of Waco Masonic Lodge No. 92. 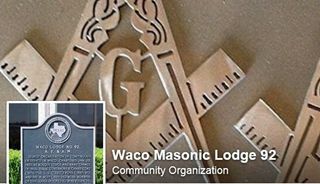 If you would like to purchase an endowed membership to the lodge please give me a call at 254-772-1801 or email me at secretary@waco92.org. Hope to see you in lodge this coming month.